Jack MOORE. Jack married Olivia TOLSON. Olivia TOLSON [Parents] was born in , , Texas. Olivia married Jack MOORE. Robert "Robin" MC MINN [Parents] was born in 1795 in Tryon, Polk, North Carolina. He died in 1847 in Pinola, Simpson, Mississippi. He was buried in Pinola, Simpson, Mississippi. Robert married Martha Ann PLEASANT before 1823. Martha Ann PLEASANT was born in 1799 in Of, , North Carolina. She died in 1834. Martha married Robert "Robin" MC MINN before 1823. M i Samuel "Sam" MC MINN was born in 1823. F ii Martha Ann MC MINN was born in 1825. She died in 1855. M iii Baker Pleasant MC MINN was born in 1830. He died in 1888. Robert "Robin" MC MINN [Parents] was born in 1795 in Tryon, Polk, North Carolina. He died in 1847 in Pinola, Simpson, Mississippi. He was buried in Pinola, Simpson, Mississippi. Robert married Mary Malissa OSBORNE on 28 Sep 1834 in , Yalobusha, Mississippi. Mary Malissa OSBORNE [Parents] was born in 1815 in McMinnville, Warren, Tennessee. She died on 5 Dec 1906 in Turnersville, Coryell, Texas. Mary married Robert "Robin" MC MINN on 28 Sep 1834 in , Yalobusha, Mississippi. F i Hannah Lucinda MC MINN was born on 13 Sep 1835. She died on 27 Dec 1890. Margaret MC MINN was born in 1836 in , Yalobusha, Mississippi. She died in 1838. M iii William John MC MINN was born on 5 Mar 1837. He died on 9 Mar 1865. M iv James Henry MC MINN was born on 19 Apr 1839. He died in 1864. M v Robert Newton "Bob" MC MINN was born on 19 Jun 1841. He died on 15 May 1912. F vi Susan Jane MC MINN was born on 19 Nov 1843. She died on 10 Feb 1929. M vii Nathaniel Dekalb MC MINN was born on 19 Apr 1846. He died on 2 Feb 1908. William Pickens "Bill" ANTHONY "Sr" [Parents] was born in 1788 in , Rutherford, North Carolina. He died on 22 Apr 1871 in Glen Allen, Fayette, Alabama. He was buried in Anthony Family Cemetery, Elm Church, Fayette, Alabama. William married Jane "Jennie" MC MINN in 1814 in , Marion, Alabama. Jane "Jennie" MC MINN [Parents] was born in 1798 in , Rutherford, North Carolina. She died on 10 Jul 1885 in Glen Allen, Fayette, Alabama. She was buried in Anthony Family Cemetery, Elm Church, Fayette, Alabama. Jane married William Pickens "Bill" ANTHONY "Sr" in 1814 in , Marion, Alabama. M i James ANTHONY was born in 1815. F ii Mattie ANTHONY was born in 1816. M iii Benjamin "Ped" ANTHONY was born about 1818. He died before 1870. 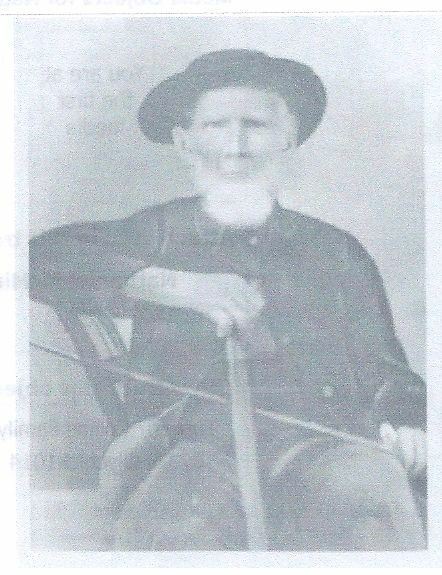 M iv Abraham Perry ANTHONY "Sr" was born in 1820. He died in 1880. M v John Carrol ANTHONY "Sr" was born in 1823. He died in 1895. F vi Martha G. ANTHONY was born in 1824. She died on 26 Dec 1911. M vii Richard Harold ANTHONY was born on 5 Dec 1827. He died on 1 Jan 1903. M viii Nathaniel Merit ANTHONY was born in 1828. He died on 20 Dec 1862. Jennie ANTHONY was born in 1830 in , , Alabama. She died in 1835 in , , Alabama. 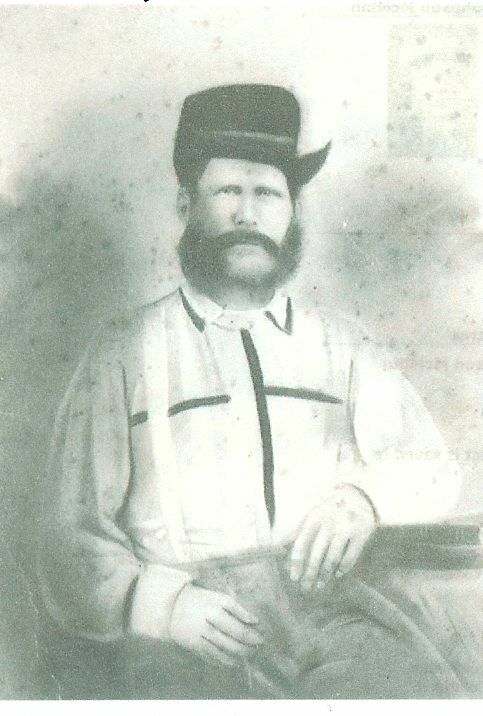 M x William Pickens "Bill" ANTHONY "Jr" was born on 10 Aug 1832. He died on 18 Aug 1904. M xi George Washington ANTHONY was born in 1835. He died in 1930. F xii Mary Jane ANTHONY was born on 27 Sep 1837. She died on 1 Jul 1916. Drucilla ANTHONY was born in 1841 in Marion, Perry, Alabama. She died in 1911 in , Fayette, Alabama. M xiv Benjamin ANTHONY was born in 1842. Mack ANTHONY was born about 1843. William MC COMB was born in 1795 in Ireland. He died on 12 Jul 1874 in Houston, Harris, Texas. William married Drucilla "Drusie" MC MINN on 24 Jun 1818 in , St. Clair, Alabama. Drucilla "Drusie" MC MINN [Parents] was born in 1799 in , Rutherford, North Carolina. She died in 1880 in Houston, Harris, Texas. She was buried in Antioch Cemetery, Houston, Harris, Texas. Drucilla married William MC COMB on 24 Jun 1818 in , St. Clair, Alabama. F i Jane MC COMB was born on 12 Aug 1820. She died on 15 Nov 1892. M ii Abraham Cody MC COMB was born in 1826. He died in 1875/1880. M iii John MC COMB was born in 1827. F iv Matilda Drucilla MC COMB was born in 1828. She died about 1880. M v William H. MC COMB was born on 7 Jan 1830. He died on 21 Sep 1906. F vi Mary Ann MC COMB was born in 1832. She died about 1880. F vii Martha Ann Elizabeth MC COMB was born on 8 May 1837. She died on 2 Nov 1916. M viii Nathainiel Berry MC COMB was born in 1841. He died on 2 Jun 1915. F ix Sarah Frances MC COMB was born on 27 Dec 1843. She died on 27 Jul 1929. Nathaniel "Nathan" MC MINN [Parents] was born on 11 Jun 1803 in , Rutherford, North Carolina. He died on 2 Jun 1896 in , Choctaw, Mississippi. He was buried in McMinn Cemetery, Near Reform, Choctaw, Mississippi. Nathaniel married Martha H. "Patsy" MC GONIGILL about 1825 in , Marion, Alabama. Martha H. "Patsy" MC GONIGILL was born on 18 Jun 1809 in , , Kentucky. She died on 8 Jul 1879 in , Choctaw, Mississippi. She was buried in McMinn Cemetery, Choctaw, Mississippi. Martha married Nathaniel "Nathan" MC MINN about 1825 in , Marion, Alabama. F i Jane Adeline MC MINN was born on 11 May 1826. She died on 1 Apr 1903. W. H. MC MINN was born in 1828 in , Marion, Alabama. He died in 1829 in , Marion, Alabama. M iii John Patrick MC MINN was born on 12 Feb 1830. He died on 27 Sep 1907. F iv Drucilla S. MC MINN was born on 13 Aug 1832. She died on 28 Feb 1902. M v Berry Hicks MC MINN was born about 1835. He died in 1840. F vi Martha Isabelle MC MINN was born about 1836. F vii Mary Ann MC MINN was born in 1839. She died in 1883. M viii Henry Petty MC MINN was born on 18 Mar 1842. He died on 25 Dec 1913. Sarah Adaliza MC MINN was born on 11 Jul 1845 in , Choctaw, Mississippi. She died on 26 May 1909 in , Choctaw, Mississippi. M x James K. Polk MC MINN was born in 1848. He died in Feb 1928. M xi Drewry Dallas C. MC MINN was born in 4 ct 1850. He died on 16 Apr 1922. Richard Harold MC MINN [Parents] was born in 1805 in , Rutherford, North Carolina. He died in 1884 in Batesville, Panola, Mississippi. He was buried in Duke Cemetery, Batesville, Panola, Mississippi. Richard married Amanda Jane PATE in 1832 in , Marion, Alabama. MC CULLAR, Judith Ann "Julia"
Amanda Jane PATE [Parents] was born in 1811 in , Marion, Alabama. She died in 1856 in Batesville, Panola, Mississippi. She was buried in Lovejoy Methodist Church Cemetery, Pope, Panola, Mississippi. Amanda married Richard Harold MC MINN in 1832 in , Marion, Alabama. Artmissa MC MINN was born in 1832 in , Rutherford, North Carolina. F ii Mary Ann Jane MC MINN was born on 1 Dec 1834. She died on 23 Nov 1923. F iii Martha Caroline MC MINN was born in 1836. F iv Nancy Emaline MC MINN was born in 1837. M v Abraham Van Buren “Abe” MC MINN was born on 8 Mar 1839. He died on 10 Jun 1926. M vi John Baker MC MINN was born in Jan 1936. He died in 1910. M vii Robert Jackson MC MINN was born on 12 Jul 1842. He died on 5 Jul 1928. M viii Nathan Bradley MC MINN was born in Oct 1843. He died on 21 Feb 1922. M ix William Polk MC MINN was born on 16 Dec 1845. He died on 17 Jan 1928. Melissa Jane MC MINN was born in 1847 in , Panola, Mississippi. She died in 1861 in , Panola, Mississippi. MC MINN was born in 1849 in , Panola, Mississippi. She died in 1849 in , Panola, Mississippi. MC MINN was born in 1851 in , Panola, Mississippi. He died in 1851 in , Panola, Mississippi. Richard Harold MC MINN [Parents] was born in 1805 in , Rutherford, North Carolina. He died in 1884 in Batesville, Panola, Mississippi. He was buried in Duke Cemetery, Batesville, Panola, Mississippi. Richard married Judith Ann "Julia" MC CULLAR in 1864 in , Panola, Mississippi. Judith Ann "Julia" MC CULLAR [Parents] was born in 1835 in , Rutherford, North Carolina. She died in 1907 in , Panola, Mississippi. Judith married Richard Harold MC MINN in 1864 in , Panola, Mississippi. M i James Harold MC MINN "Sr" was born on 16 Aug 1869. F ii Hannah Mills MC MINN was born in 1870. She died on 18 Jun 1959. F iii Paralee "Pearl" MC MINN was born on 9 Mar 1874. She died on 20 Aug 1959. M iv Berry Hill MC MINN was born on 12 May 1880. William Buckley "Bill" MC MINN [Parents] was born on 20 Jan 1811 in , Rutherford, North Carolina. He died on 16 Aug 1888 in , Choctaw, Mississippi. He was buried in McMinn Cemetery, , Choctaw, Mississippi. William married Susan ELLISON on 20 Mar 1833 in , Winston, Mississippi. Susan ELLISON [Parents] was born on 23 May 1812 in , Blount, Alabama or South Carolina. She died on 6 Jun 1862 in , Winston, Mississippi. She was buried in , Winston, Mississippi. Susan married William Buckley "Bill" MC MINN on 20 Mar 1833 in , Winston, Mississippi. F i Julia Ann Ellison MC MINN was born on 12 Jan 1835. She died on 19 Jun 1892. M ii Nathaniel Paul MC MINN was born on 13 Jan 1837. He died on 21 Apr 1862. M iii John Holloway "Holly" MC MINN was born on 25 May 1839. He died on 26 Mar 1920. F iv Mary Jane MC MINN was born on 25 Apr 1842. She died in 1862. M v Alexander Robert MC MINN was born on 27 Aug 1844. He died on 31 Jan 1908. M vi William George MC MINN was born on 2 Dec 1848. He died on 6 Apr 1900. M vii Elijah Adolphus MC MINN was born on 28 Apr 1850. He died on 18 Jan 1940. M viii Berry Hunt MC MINN was born on 21 Mar 1855. He died on 9 Jan 1900. Jeremiah OSBORNE "Sr". Jeremiah married Mary NEWMAN. Mary NEWMAN. Mary married Jeremiah OSBORNE "Sr". M i Jeremiah OSBORNE "Jr" was born on 24 Dec 1772. He died in 1857.